If you’ve not already done so, you can subscribe to these daily listings and have them delivered to your inbox at 7am every morning. 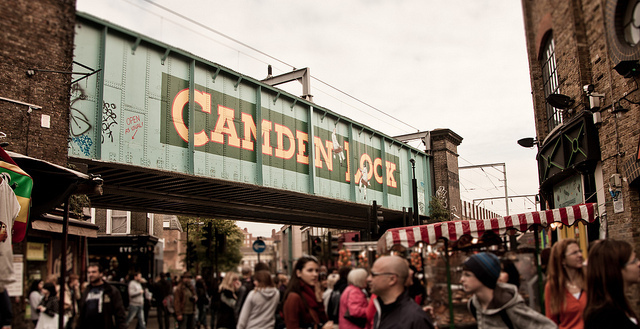 Alternatively, subscribe to Londonist Daily to hear about events further in the future. And help spread the word to your friends who haven’t discovered us yet! …Wingit? If you want even more ideas on things to do in London then new app Wingit uses an algorithm to scan social networks and find great London events happening near you in real-time. From performances to pop-ups, screenings to street art, download the free app today to see what’s going on just round the corner. Your clues so far are DUCKETT and MATTISON. Today's addition is LAUSANNE. What's the London connection? No need to email in, as we already have a winner. On this day last year we shared an interesting article about trees in London. Did you know that there are approximately as many trees in Greater London as there are Londoners (7 million)? Something a bit more dingy today. 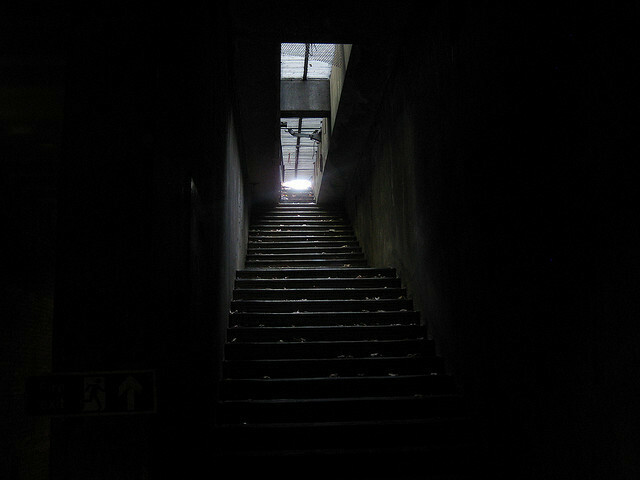 Who can guess the London location of this dimly lit set of stairs? Every Friday in April, we’ll be picking one email subscriber at random to win a Londonist-themed goody bag. So if you’re reading this on our website, sign up to our 7am newsletter for your chance to win. If you’re already subscribed, let your friends know — particularly the ones who are likely to share the prize if they win.